Schools using IRIS Connect report lower spending and a higher chance of improving Ofsted grade. 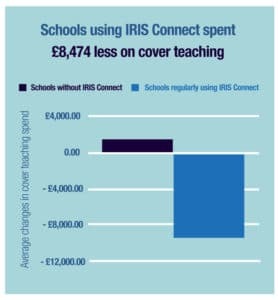 An analysis of the DfE’s CFR data shows that schools regularly using IRIS Connect spent 8% less on cover teaching and 9% less on CPD compared to schools not using IRIS Connect. 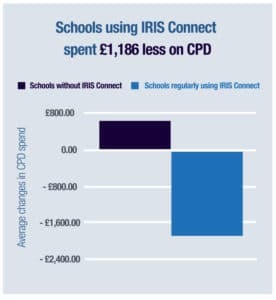 In 2015-16, schools regularly using IRIS Connect spent on average £10,335 less than the previous year on CPD and cover teaching; whereas schools not using IRIS Connect spent £1,912 more than in the previous year. The differential equates to £12,247. 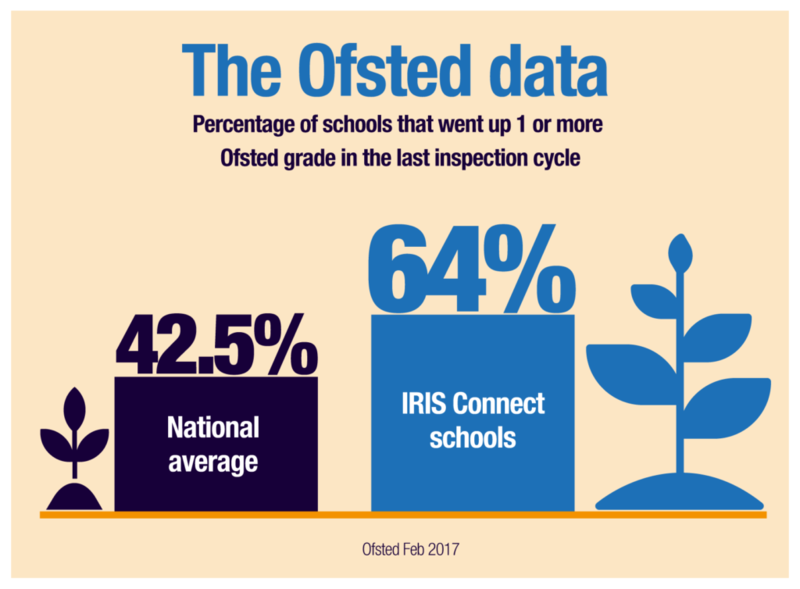 We also ran an analysis on Ofsted data (February 2017), which found that 64% of schools regularly using IRIS Connect improved by at least one Ofsted grade in their last inspection cycle, compared to 42.5% of other schools. IRIS Connect platform usage data was used to identify grant maintained schools in england who were regular users the IRIS Connect platform – Defined as uploading video, on average, more than once per working week in the previous calendar year. The percentage differentials applied to the previous year’s gross expenditure for groups A and B give the gross expenditure differences between the two groups. These were divided by the number of schools in each cohort to provide average savings data. “Total difference” is an amalgamation of what Group A have saved vs the additional expenditure experienced by group (Group B), and is best described as the extent to which Group A have reduced their expenditure within the broader context of rising costs. Overall statistics like cover spend per pupil and CPD spend per pupil will calculated using expenditure totals and global pupil numbers. Maintained schools only. This spending analysis only related to maintained schools in England. Welsh schools, Academies and Free Schools are excluded at this time. Correlation not causation. We can say from the data that group A reduced their spending when compared to group B. We cannot confidently say that all of the appropriate variables have been accounted for. 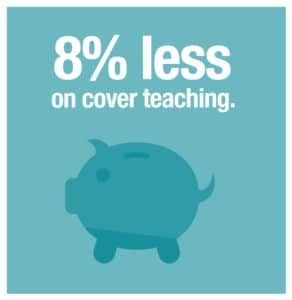 While we have testimonials and case studies from within Group A attributing their savings and increased efficiency to the use of IRIS Connect this is insufficient to establish a clear chain of causation between adopting IRIS Connect and spending less on CPD and cover teaching. This was used to identify the percentage of schools in the full population that have improved their Ofsted Grade by one grade or more with schools identified by IRIS Connect management data as using the system on a regular basis. The School Management Data includes all schools inspected by Ofsted. 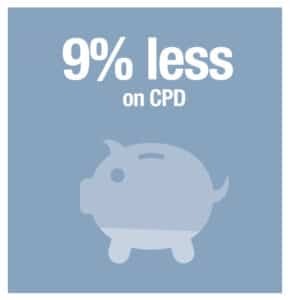 Find our how your school can increase the impact and reduce the cost of CPD.